Everyone and everything is connected these days. We're online pretty much around the clock, and information is sent back and forth every minute. All that personal information is available to anyone with enough know-how, and Aiden Pierce has elevated that know-how to an artform. His husky, deep voice let's us know we know nothing, and he knows all there is to know. More specifically he knows all there is to know about his mark, Joseph Demarco. The wind is racing between the buildings of Chicago in the autumn. Aiden pulls up the collar of his coat, pulls down his cap as he walks towards his objective with purposeful steps. This the opening to what was inarguably the biggest surprise of E3: Watch Dogs ushered out as Ubisoft's conference closer. Starting with no logo, no long-winded introduction - just a killing of the house lights, a text-heavy trailer with Mirror's Edge-style cleanliness that transitioned directly into Aiden Pierce standing in a beautifully realised nighttime and rain-swept street. He removes his smartphone out and moves towards the gallery where Joseph Demarco exhibits under the monicker dot conneXion. The queue outside is long and winding, and there's a doorman blocking our way. Aiden fingers his phone and with a couple of presses he disables all mobile communication in the vicinity. The camera slowly pans to pick out the confusion of those clutching mobile phones. In the disruption the doorman shifts from his post, and we ghost into the art gallery. There, and after a brief dialogue with a man called Jordy, who has a major role to play in the game, Aiden is now carrying a gun under his coat. Aiden scans the guests. He has all of their personal information at his fingertips, the visualisation similar to Assassin's Creed's Animus; 2D boxes hovering each as he passes by, floating data files more intrusive than a medical exam. Clean crisp scrolling text clinically detailing each person's credentials and name, with important bullet points bolded. Thieves, tax evaders, known illnesses - and employment records. With this he soon finds an employee of Joseph Demarco's who makes him. Demarco leaves his exhibit in a hurry, and Aiden follows intent to chase him down. There is a lot of traffic and the rain is pouring down. There are warm bloom effects bouncing off every light source, pedestrian and road traffic mill through the hammering downpour. We're only one block down from the gallery, but the illusion of a larger city stretching off into the night is complete. Once again Aiden makes use of his phone to try and stop Demarco, and he turns on all traffic lights at once with a serious collision as a result. Demarco survives the crash and is soon joined by what is presumably his bodyguards. This gives Aiden an opportunity to show off his combative skills as well as his agility as he dives in behind a car and fires off his gun towards his foes. Soon enough Demarco is all alone, and he is put down. The police sirens grow louder and Aiden nicks the closest sets of wheels and speeds off. As he drives off he activates a draw bridge up ahead, managing to leap over the gap just as it opens up. There was one last tease before the house lights came back up and the deafening applause from the crowd began. As Pierce makes his escape, the camera pulls out, pans upwards and zooms in on a lone figure standing on a nearby rooftop. Some more chatter across radio or mobile, and he starts running. 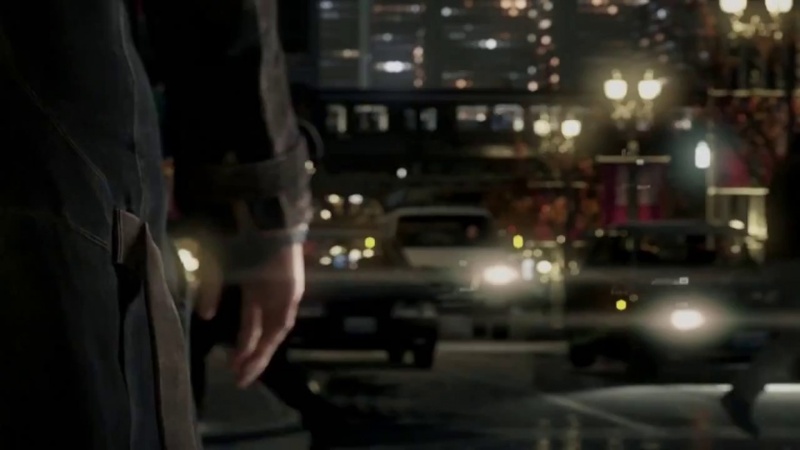 As he does, the camera continues its pull upwards, until the city merges back into the iconised view seen at the start of the pre-gameplay trailer, and our new character is marked by an icon. But he's not alone; in the second before the logo booms on screen, we spot more and more icons with names crisscrossing the city. The demo was an instant hit. But one short demo isn't a lot to go on, but as we peel off the layers more details and information surface. Watchdogs takes place in a near future and you're thrown into an open game world where hacking and the information society are integral parts of the concept. The world of Watch Dogs is a world where a city is made up of one massive network (referred to as CtOS or Central Operating System), always online where it can retrieve information on everyone. Aiden Pierce has all the tools at his disposal and all of the people he comes across has a story of their own - each written by Ubisoft's script writers. Aiden can eavesdrop on conversations, look at surveillance footage and hack pretty much any device, and even access bank accounts. Ubisoft's idea of a connected society is a society where everything can be manipulated and controlled. The idea here is to allow the player to do what he wants with the information you come across, and offer us multiple ways of dealing with missions. Your actions will also have consequences. There may be collateral damage, such as in the car crash Aiden caused, and we get the sense that there will be more complex moral dilemmas during the course of the game. Ubisoft doesn't use the term smart phone when talking about Aiden's device, and instead they call "Profiler". We were shown how the device could be used to tap into nearby surveillance cameras, in order to give Aiden an edge. Your Profiler can also get you out of a bind as it can jam police frequencies if you're being pursued. We're reminded of Assassin's Creed as Aiden dodges bullets and moves across obstacles high and low. There are also plans to release an iPad game to complement to game experience that feeds you information on the city and your progress as you are playing. But that's not all. You will also be able to keep up to date with what your friends are doing and how they are taking on the various challenges. It works a bit like Autolog (Need for Speed: Hot Pursuit), and you will be able to give and receive challenges. That multiplayer character ending to the demo also implied that there may be some element of multiplayer in the works, but the developers kept tight lipped on the subject. It's obvious that they want to connect players somehow. At this point in time we don't know a whole lot more about Watch Dogs. We don't even know for sure that the game is coming out on this generation of consoles or the next. Apart from the fully confirmed PC version, versions for Playstation 3 and Xbox 360 have also been mentioned, but don't be surprised if the game ends up on the next generation of consoles. 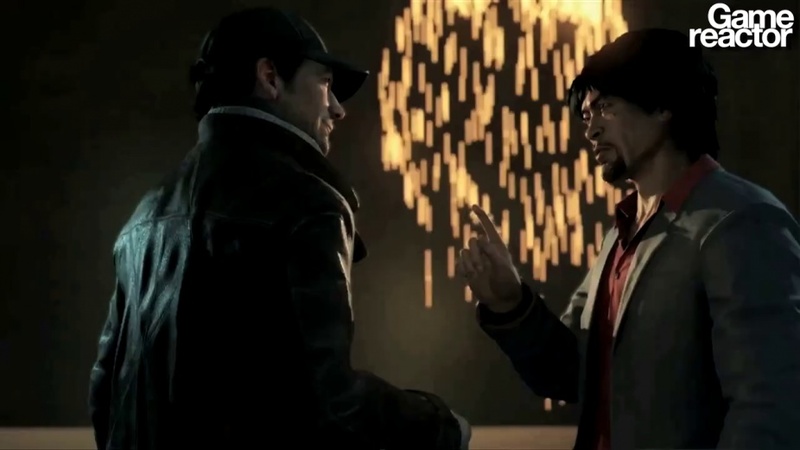 Watch Dogs was a shining beacon of innovation and hope, in what was otherwise a dull and predictable E3. On the surface it looked like the next generation had arrived: below it promised an ocean of depth in an open world to conquer. We cannot wait to see more of Watch Dogs. noseporke on the 4th of July 2012 at 08:15.